Grace Roe was born into a prosperous London family in 1885. Her mother died when she was twelve years old and she was sent to boarding school. After leaving Beadles she went to art school. On 21st June 1908 she heard Emmeline Pankhurst and Christabel Pankhurst speaking in Hyde Park. She later recalled: "It was a bright, sunny day. There was Mrs Pankhurst, this magnificent figure, like a Queen... Christabel Pankhurst had taken off her bonnet and cloak, and was wearing a green tussore silk dress. She was very graceful, had lovely hands and a wonderful way of using them." Although Grace was very impressed with the arguments she heard that day, she did not initially join the Women's Social and Political Union because of press reports that they were "unwomanly women". Grace Roe continued to go to WSPU meetings and it was after hearing Emmeline Pethick-Lawrence speak at a Queen's Hall meeting in October 1908 that she joined the movement. She had been left a large legacy by her family and so she was able to devote her energies to the cause. Grace was arrested for the first time during a demonstration at the House of Commons on 29th June 1909. 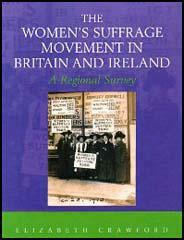 In 1910 Grace was appointed as WSPU organiser in East Anglia. At the time, the WSPU only had one member in the region. Based in Ipswich, Grace arranged for Emmeline Pankhurst, Christabel Pankhurst, Emmeline Pethick-Lawrence and Constance Lytton to speak in the town. Grace Roe was the organizer at the Bromley and Bow by-election when George Lansbury stood unsuccessfully as a woman's suffrage candidate. 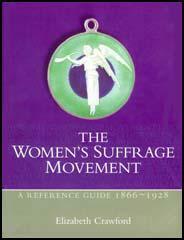 In her book, The Suffrage Movement (1931), Sylvia Pankhurst is highly critical of Grace's organisation of the campaign. In December 1912 Emmeline Pankhurst appointed Grace as deputy to Annie Kenney in London. Kenney was charged with "incitement to riot" in April 1913. She was found guilty at the Old Bailey and was sentenced to eighteen months in Maidstone Prison. Grace Roe now became head of operations in London. Grace Roe was arrested on 23rd May 1914. She went on hunger strike and was forcibly fed and was still in prison when on 4th August, 1914, England declared war on Germany. A few days later the leadership of the WSPU began negotiating with the British government. On the 10th August the government announced it was releasing all suffragettes from prison. In return, the WSPU agreed to end their militant activities and help the war effort. Emmeline Pankhurst announced that all militants had to "fight for their country as they fought for the vote." Ethel Smyth pointed out in her autobiography, Female Pipings for Eden (1933): "Mrs Pankhurst declared that it was now a question of Votes for Women, but of having any country left to vote in. The Suffrage ship was put out of commission for the duration of the war, and the militants began to tackle the common task." Annie Kenney reported that orders came from Christabel Pankhurst: "The Militants, when the prisoners are released, will fight for their country as they have fought for the Vote." After receiving a £2,000 grant from the government, the WSPU organised a demonstration in London. Members carried banners with slogans such as "We Demand the Right to Serve", "For Men Must Fight and Women Must work" and "Let None Be Kaiser's Cat's Paws". At the meeting, attended by 30,000 people, Emmeline Pankhurst called on trade unions to let women work in those industries traditionally dominated by men. Grace Row also spoke at these meetings. She also travelled to Newcastle to speak out against labour unrest in the city. In 1918 Grace Roe went to live with Annie Kenney in St Leonards-on-Sea in Sussex. The two women became followers of Annie Besant, who was the leader of the Theosophy movement in Britain. According to Elizabeth Crawford, the author of The Suffragette Movement (1999), Grace Roe later "remarked on the part played by theosophists behind the scenes of the militant suffrage movement. She made the point that theosophy not only gave a spiritual dimension to their lives but, cutting across class, put people in touch with each other who would have been unlikely otherwise to meet." Grace Roe remained with Annie Kenney until her marriage to James Taylor and the birth of their son, Warwick Kenney Taylor. In 1921 she went to Canada with Christabel Pankhurst. They eventually settled in Santa Barbara but later moved to Hollywood. Both women became prominent members of the Second Adventist Movement and lectured on the Second Coming. After Christabel and Emmeline Pankhurst decided to run a tea-shop on the French Riviera in 1925, Grace became a social worker in Los Angeles. After the Second World War Grace opened a bookshop and metaphysical library in Santa Barbara. She stayed in close contact with Christabel Pankhurst and was with her when she died at her home in Santa Monica on 13th February 1958 from a heart attack. Grace was appointed as her literary executor and was responsible for the publication of Christabel's memoirs, Unshackled: the Story of how we Won the Vote. Grace published A Suffragette Story in 1960. She was interviewed by Anna Raeburn for BBC's Woman's Hour in 1968. Six years later she taped an interview with Brian Harrison for the Fawcett Library. Grace Roe died in 1979.